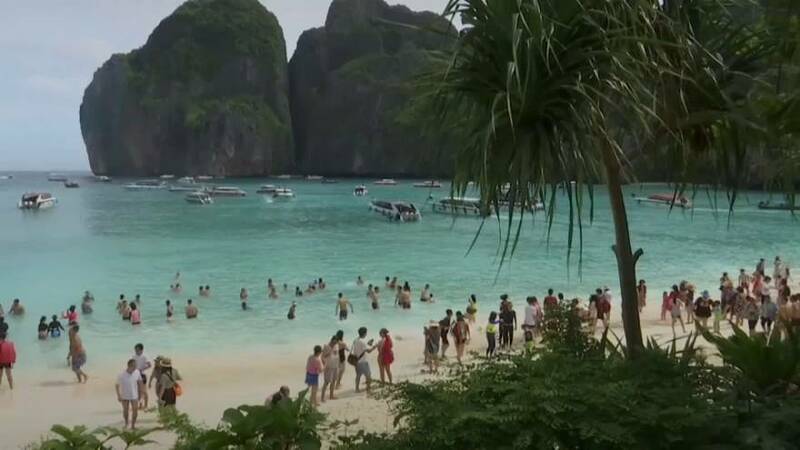 Thai authorities say they will close the bay made famous by the film 'The Beach' indefinitely. Maya Bay will remain shut until it recovers from the damage caused by too many tourists. Near Ko Phi Phi, the bay had already been closed over the summer but flora and fauna remain damaged. Maya Bay became a popular tourist attraction after it was used to shoot 1999 film The Beach whichstarred Leonardo Di Caprio and was based on the book by Alex Garland.